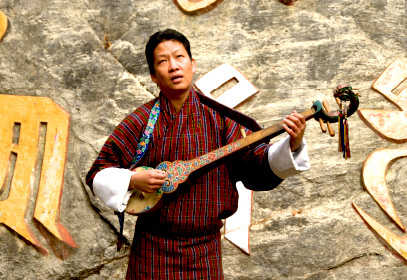 MBRC Director and recording artist Kheng Sonam Dorji presents private concerts to tour groups and delegations in the Thimphu and Paro area. 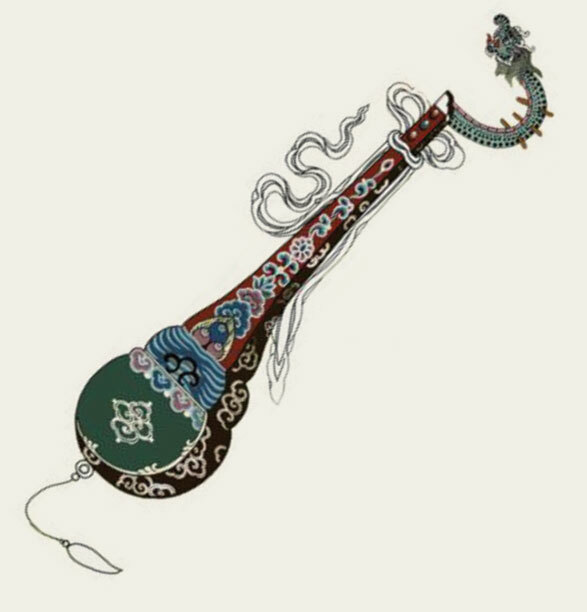 With his riveting vocals, musicianship, and storytelling, Sonam intimately connects with his audiences, sharing his passion and deep knowledge of traditional music. Special visits to the home of a revered musical elder in Paro are also possible. In 2010 MBRC initiated the first stage-style Folk Music and Dance Festival. This festival is free and open to the public and features the finest master musicians and next generation artists in traditional music. The festival travels each year to highlight artists and styles of various Bhutanese regions. Kheng Sonam Dorji and his U.S. colleagues, Dr. Janet Herman and Jane Hancock, are available for engaging multi-media presentations on Bhutanese traditional music and culture and the work of MBRC. Past venues have included museums, universities, Buddhist centers, and music conferences in Bhutan, the U.S. and Europe. Every year MBRC honors two master musicians, one male and one female, for lifetime achievement in traditional music. 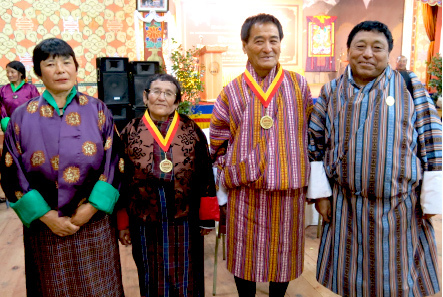 Recipients of the Druk Norbu “Living Treasure” Award include Aum Thinlem (2010), Aup Tsheten Dorji and Aum Tshewang Lham (2011), Drimpon Sonam Dorji and Aum Nimchu Pem (2012), Dorji Sedy (2013), Dawa Peljor and Lhachem (2014), Aum Tshomo and Aup Karma Rinchen (2016), and Sangay Choden and Gangkar Wangdi (2017). Photo from left to right: Aum Thinlem, Aum Nimchu Pem, Drimpon Sonam Dorji, Aup Tsheten Dorji. MBRC periodically hosts week-long intensive trainings for Bhutanese youth interested in fieldwork and archiving. Students learn about traditional music and lore, the goals and methods of research and documentation, and the operation of audio-visual equipment before completing a real field collecting project in their home village and depositing work in the MBRC archives. To promote Bhutanese music internationally and initiate programs of cultural exchange, MBRC has hosted day camps for school-aged children. Past sites include YDF in Thimphu, Bhutan, and elementary schools in Honolulu, Hawaii and Santa Cruz, California. Students learn about traditional Bhutanese music and culture through hands-on activities. Copyright © 2018 MBRC. All Rights Reserved.